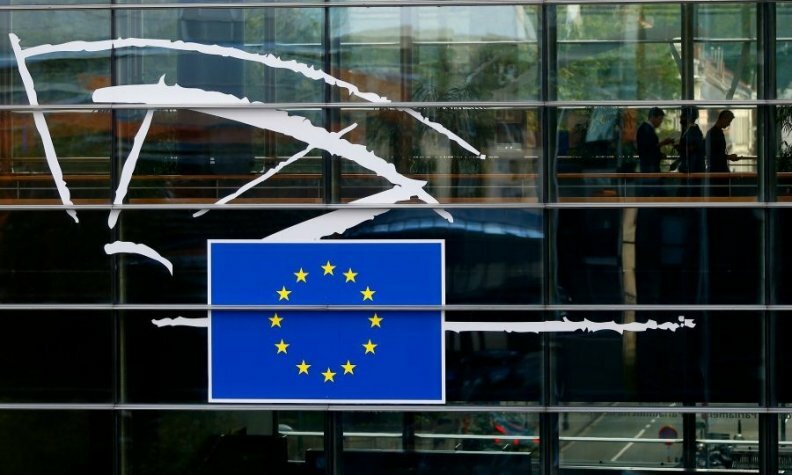 BRUSSELS -- The European Commission gained greater authority over the approval of car models across Europe under a new law meant to prevent a repeat of Volkswagen Group's diesel-emissions scandal. The Commission won the power to fine automakers up to 30,000 euros ($37,131) per faulty car and order recalls as part of more centralized market oversight approved by the European Parliament on Thursday in Strasbourg, France. The European Union legislation makes the Commission, the 28-nation bloc's regulatory arm, more like the U.S. Environmental Protection Agency. Along with an EU move last year to start measuring cars' smog-causing pollution on roads rather than only in laboratories, the revamp of the rules on authorizing vehicle models marks the bloc's most far-reaching reaction to the admission in September 2015 by Germany-based VW that it fitted diesel engines with software to cheat U.S. checks on NOx discharges. "This reform really improves the flawed system for testing cars," the Brussels-based European Consumer Organisation said in an emailed statement. "The beefed-up role of the EU acts as a deterrent against national regulators giving preferential treatment to their own carmakers." VW's cheating, which the U.S. uncovered and which led to an EU recall of 8.5 million vehicles, pushed the automaker into a crisis and left policy makers in Europe scrambling to patch up regulatory holes that threatened a "clean-diesel" strategy dating to the 1990s. The issue has been politically thorny in Europe because around half the cars in the region are powered by diesel -- which causes more urban pollution than gasoline models while having less global-warming impact -- and because many member states have struggled to meet clean-air goals meant to reduce human sicknesses and premature deaths. • enables the Brussels-based commission to arrange post-approval testing of cars. • lets individual EU countries recall vehicles approved elsewhere in the bloc should environmental or safety concerns arise. • subjects national authorities who are responsible for authorizing vehicle models to "peer evaluations." • obliges vehicle manufacturers to disclose software protocols (in a head-on attempt to counter cheating technologies of the kind used by VW). The commission, which proposed the new rules in January 2016, got much of what it wanted in the final version of the law. One draft provision that didn't survive the scrutiny by EU governments and the 751-seat Parliament sought to prohibit auto producers from paying for lab tests directly by requiring industry contributions to national pots from which testing would have been funded.